The infrared sauna experience is indescribable! We'll discuss what to expect in your sauna session, but it's difficult to explain how you'll feel. If you've never tried an infrared sauna, now is your chance. The most frequent response we get from our guests... AMAZING! Our luxury sauna studio is dedicated to supporting relaxation, wellness, and your quest for a balanced, healthy lifestyle. ​Our guests have a choice of two different infrared saunas to accommodate preferences and goals. 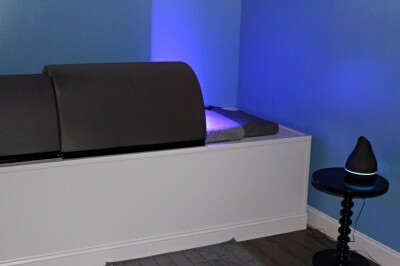 In fact, we are the only studio in the area that offers two different lines of infrared saunas. The studio is also available to reserve for special events such as bridal showers, wedding parties, birthdays, holidays, reunions, corporate retreats or rewards, or any gathering you would like to relax and enjoy the privacy and tranquility of our studio. Your well-being is very important to us. Therefore, your experience at our studio is equally important. Feel free to share your feedback and please don’t forget to like and follow us on facebook, instagram, and twitter.